(CNS): Frustrated by government’s refusal to convene an emergency Finance Committee meeting as he requested, Ezzard Miller, MLA for North side, is taking on the budget single handed. Convinced that there are numerous areas in spending that government could cut more easily than the salaries of civil servants, the independent MLA says that he will be examining the budget documents line by line to see the exact details of each appropriation and attempt to cut unnecessary expenditure. Miller told CNS that he believes this is what government should do first before taxing public sector workers. Miller said that government is taking the wrong approach and needs to examine expenditure in the round before cutting salaries. Once that exercise is complete, Miller said government should then be seeking to reduce the headcount of the service rather than salaries. He said he believed that where Caymanian civil servants had to be cut, they could be found work in the private sector by simply matching the local staff to work permit holders. “If government has to let go five accountants, for example, then we approach the large private firms and ask them to cut five accounts on work permits from their staff,” he said, adding that keeping thesame number of public servants on less money would only serve to cause hardship to more people and undermine the efficiency of the administrative arm of government because of low morale. Although he admitted that he was at a disadvantage with regards to his goal of finding savings in the budget since he did not know what had been spent yet, Miller said that if he could demonstrate where significant cuts could be made and present those savings to government, they would then have alternatives to the proposed salary cuts. Through this exercise of examining each of the budget appropriations, Miller said he could at least prove to government that it was worthwhile holding a Finance Committee meeting where all of the elected officials could work on the budget together and make cuts. He said he had heard numerous rumours of public sector waste that could be cut, and he stressed again that government should at least try to cut back on spendingbefore cutting back on salaries. “I’m trying to find legitimate cuts that have to be preferable to a tax on the public sector,” Miller added, saying that although it may be a lonely and ambitious project, it was worth a try. 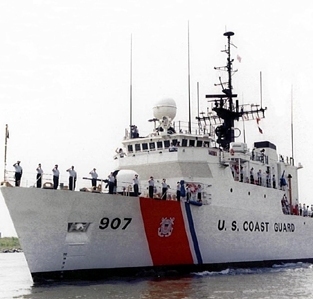 (CNS): A member of the US Coast Guard crew currently visiting the Cayman Islands became the victim of an attack when he came ashore from his ship, CNS understands. Police have confirmed that George Town detectives are investigating an attempted robbery which left a sailor with head injuries in the early hours of this morning. About 2:10 am the 21-year-old American sailor, was walking in North Church Street with a friend in the Burger King area when a man jumped out of a side street, struck the victim on the face and demanded cash. According to police, the victim fell to the ground and his friend yelled at the assailant, who then jumped into a dark coloured Jeep Cherokee and sped off. The Jeep had a Quincentennial licence plate and the suspect is described as wearing a white t-shirt and dark jeans. The victim was taken to the Cayman Islands Hospital, where he was detained overnight suffering from head injuries. He has now been discharged from hospital. Detective Constable Dave Morrison, of George Town CID, is appealing for anyone who may have been in the area at the relevant time and witnessed the incident or the Jeep fleeing the scene to come forward. CNS understands that the men, who are serving aboard the United States Coast Guard Cutter Bear, which departed today, Tuesday 9 March, were not wearing uniform at the time as they were enjoying an evening’s shore leave. (CNS): Almost four years after it was published government officials are holding a retreat in order to discuss the report written by Yolande C. Forde on the pre-disposing factors to criminality in the Cayman Islands. The report which pointed the finger at the inadequacies in Cayman’s education system and also criticised the historical neglect, by the Cayman authorities, on the causes of crime in favour of the punishment of crime. However, the Ministry of Community Affairs says he wants to focus on crime prevention strategies at te heart of the community. In the face of increasing local crime levels the Ministry is seeking to implement the 2006 report and the two-day retreat on 11-12 March is to beginthat process. “Government has continuously looked at various strategies for combating crime and we are aware that in addition to deploying more police interventions, it is critical that we enhance our prevention strategies,” Mike Adam, the minister said. The study reveals that factors influencing criminal activity are deeply rooted in the life experiences of those who have been arrested, convicted and incarcerated and that destructive seeds are typically sown during early childhood. When criminal risk factors are present in children’s lives, early intervention and therapeutic programming must be in place to prevent a downward spiral into anti-social behaviour and delinquency which can ultimately lead to involvement in the criminal justice system. Adam explained he wanted to see the recommendations adopted into policy. “We must now focus on reducing crime by reaching out to our children and youth, improving their opportunities and access to programmes, identifying the gaps in our services, and strengthening our families and communities. This is what the study recommends and this is what Government will implement,” the minster added. “Government has detailed the many programmes we wish to see improved and implemented in areas involving the family, youth, education, labour, agriculture, the economy and more”. At the retreat key stakeholders from the public and private sectors will benefit from expert guidance and local, evidence-based information, Adam revealed. Using the study’s recommendations, participants will be expected to identify innovative ways to use human capital and other resources within their own organisations to further expand the protective and supportive network for youth. “As Minister for Community Affairs and Housing, I am therefore requesting that the public support those organisations who will be implementing the strategies devised at the retreat in our communities,” he said. (CNS): The University College of the Cayman Islands (UCCI) this week hosts a landmark cultural event on the college campus. The Conference on Caribbean Literature, Culture and Identity will be dealing with many of the questions and challenges facing Caymanian society from an academic perspective. Local and guest speakers as well as regional performers will deliver over 30 different presentations and panel discussions from topics as diverse as the Cayman Turtle Farm to homophobia in dancehall music. The conference opens with a cocktail reception sponsored by the national museum on Thursday evening at the Vassel Johnson Hall. The Keynote address will be delivered by author and scholar, UWI’s Dr. Brian Meeks. 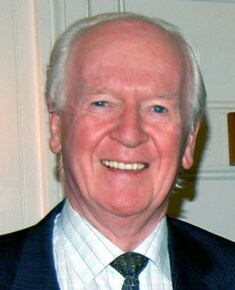 The Minister for Culture, Mark Scotland will also offer remarks at the reception which will feature unique dramatic performances by the renowned Ken Corsbie accompanied by UCCI students. The UCCI Cayman National Steel Pan Band, Pandemix, will also be on hand to add their special blend of Caribbean rhythms to the evening. The conference will also feature a Book Fair from local and international book vendors and publishers, as well as displays from local artists. Day two of the conference, 12 March, will feature over 30 thought-provoking presentations and panel discussions. Topics ranging from– “A Distinctly Caymanian Experience – Cultural Tourism and Identity Politics in the Cayman Islands” by Director of the National Gallery, Mrs. Natalie Urquhart and “A New Opportunity and Approach to Conservation Education in the Cayman Islands” by Mr Geddes Hislop to “Calypso and Reggae and the Decline in Literacy and Learning” by Mr. Louieco Lewis of UCCI and “Perceptions of Caymanian Young People Concerning their Challenges and Opportunities” by Dr. Anthony White to name a few. The conference registration is currently open and the fee is $25. Those who wish to attend one or two sessions arewelcome to do so at no charge but, they are required to complete the registration form also. UCCI encourages the Cayman community to support the event and extends special thanks to the following sponsors for their generous donations and invaluable support: The Cayman Islands National Museum, Cayman Airways, Government Information Services, The National Gallery of the Cayman Islands, First Caribbean Bank, Royal Bank of Canada, HSBC, Pearson and Scholastic. (CNS): Years of visiting the sick and elderly and focusing on the needs of young women in our community are the reason why Elma Deldee Ebanks, 71, and Madda Whittaker, 38 have been nominated as First Caribbean International Bank’s 2009 Unsung Heroes. The bank’ programme recognizes ordinary Caymanians who do extraordinary things for their communityas true heroes are those who give of themselves willingly without the promise of any reward or recognition, and these two women are proud examples of that philosophy the bank said. The banks second nominee this year is Madda Whittaker who has been involved in the Girls Brigade, a Christian organization that seeks to which seeks to help girls of all ages to grow socially, spiritually and intellectually, for over 20 years. “In addition to this Ms. Whittaker provides lunch money and school uniforms to youth she has identified as needy within the school where she works and is known to set aside a percentage of her limited salary to do this good work. She has also provided counseling to inmates at the female prison in the past,” the bank said. Madda and members of her family also took a baby girl into their home when she was around six. Providing food, shelter and schooling were, to this young girl who is now 16 years old. Each local Hero will receive a donation of US$6,000 from FirstCaribbean, which will go towards their community work. The two local heroes will now join those in the region being considered for the Caribbean wide title of Unsung Hero. (CNS): Hoping to tackle issues regarding financing for small businesses; immigration as well as fighting small claims the Cayman Islands Small Business Association (CISBA) had its first general meeting last month. By coming together members hope the association will provide a voice for small businesses in the Cayman Islands and to be able to share informaiton and help each other. Its currently has 50 members from a wide cross-section of enterprises including medical, retail and professional services companies. The CISBA has applied for registration as non-profit organization and the Executive Directors are: Rhonda Kelly, President; Joel Scott, Vice President; Madhavi Mathura, Treasurer; Magda Embury, Secretary; Annice Sambula, Secretary; Debbie Hand; Communications and Sandra Lichtenstein, Memberships. The association’s website www.cisba.ky, went live on 8 March and it will serve as an extra toll for members and promote the association. Other features on the website include a directory, which lists all the current members of the association. In future, members can post their business profile to the site and avail themselves of interactive features including a marketplace to promote their goods and services; a chat room, online seminars and training opportunities and an “Ask the Expert” section. Another goal is for members to join together at networking events where membership can share and learn, “Thisfirst event will begin to answer the need for the kind of networking and contacts through which small businesses can share their common challenges, provide support for each other and discuss issues that are critical to their operation and survival,” President, Rhonda Kelly said. “We hope these events every other month will create awareness of the CISBA and that members will benefit from coming together in this way,” she added. Members of the association have identified three key issues for which CISBA will seek to take action immediately: financing for small businesses; immigration and small claims/judicial issues. Steering committees are being set up to research and discuss these issues and create action plans for presentation to the next general meeting to be held in April. Cayman Islands Small Business Association will hold regular meetings and networking events every other month. For further information, or to become a member, please contact Rhonda Kelly at rhonda@kellyholding.com or info@cisba.ky. (CNS): Former Cayman Islands Attorney General Michael Bradley, QC, passed away in the UK on Monday, 22 February, aged 76. His legal career spanned 46 years, including significant public sector roles in the UK, Africa and the Caribbean. As Cayman’s Attorney General between 1982 and 1987, he led efforts to fine-tune and consolidate legislation that would advance the Islands’’ financial industry by attracting new business, catering to market demands and adapting to changing trends. Soon after assuming his role as Attorney General, Cabinet (then known as Executive Committee or ExCo ) took Bradley’s advice to establish the Cayman Islands Law Reports. Since then, Cayman has published local cases, thereby building case histories for reference purposes. The reports have proven useful, both for the practice of law and for maintaining the reputation of Cayman’s financial industry. 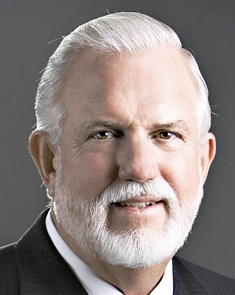 Bradley also left an indelible mark as Cayman’s first Law Revision Commissioner, from 1994 until his retirement in October 2009. He was a natural choice for the position since in 1993, the UK had identified him as the British Dependent Territories law reform and law revision consultant. As commissioner, he consolidated Cayman’s existing laws by incorporating amendments, annually updating them on the statutes. He further compiled annual revisions to the Consolidated Index of Laws to reflect laws passed, updates to the Constitution and UK statutory instruments applicable or relevant to Cayman. 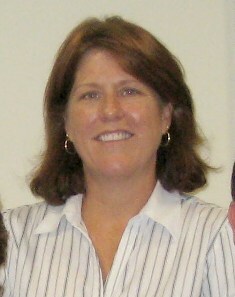 Prior to his Cayman years, Bradley had acquired considerable legal expertise in several other jurisdictions. He was state counsel in Malawi; senior, and then chief parliamentary draftsman in Botswana, and UN legal adviser toAntigua’s government. In addition, as an officer of the UK Foreign and Commonwealth Office (FCO), he served as regional legal draftsman to the governments of the Eastern Caribbean. Stints as attorney general followed, first in the British Virgin Islands, then the Turks and Caicos Islands and again in Montserrat, prior to his acceptance of the same position in Cayman. 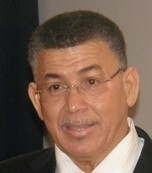 Afterwards, Bradley served for six years as Governor of the Turks and Caicos Islands. Also of note during his extended career, his role as the FCO’s Constitutional Adviser for the British Overseas Territories saw him play an integral part in UK-Cayman negotiations for developing the new Constitution that was adopted last year. Between 2005 and 2009, Bradley was also a member of the UK delegation that negotiated new constitutions for the Turks and Caicos Islands, Gibraltar, the British Virgin Islands, the Falkland Islands, as well as St Helena, Ascension Island and Tristan da Cunha. Montserrat’s is yet to be completed. Attorney General Samuel Bulgin, said that Michael Bradley will be greatly missed in Cayman’s government, legal and financial circles. Lauding him as an invaluable resource who made “excellent” contributions. “His passing really creates a void. Mr. Bradley provided much-needed continuity, putting into context references from the eighties to the present day. 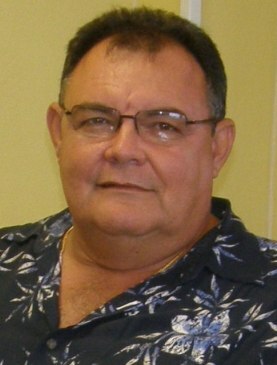 He made it easier to obtain a panoramic perspective about Cayman Islands’ government Legal framework.," Bulgin said. Bulgin extended condolences to Bradley’s wife of 45 years, Patricia Bradley, author of a definitive book on birds of the Cayman Islands. (CNS): Roadblocks and bureaucracy are holding up important projects, the premier told the country on Monday evening during an address to update the public on government finances. He also blamed the opposition for attracting bad international publicity with meetings, petitions and marches. “With all the agitation being hyped up by the opposition, we will lose all the chances of turning around the economy,” Bush said. He also said the opposition to divesting the new government building would have serious consequences. During his address Bush said government had no choice but to cut public sector salaries and benefits in order to reduce the anticipated deficit of $62 million. Although revenue predictions have declined by more than $70milllion, Bush said that a report from the financial secretary showed that revenue measures implemented in the October budget were working, but he did not explain how this was so. The problem, the premier stated, was that government expenditure was really high. “Too high and we must cut,” Bush told the nation. “I recognize that any cut in salaries will hurt but it is better than losing jobs. Nevertheless, I know that any cut will hurt all concerned,” he said, adding that he would be approaching the private sector to help the civil service by asking the supermarkets to give 10% reduction on their grocery bill twice a month, asking CUC to give a 10% reduction, for Cayman Airways to give 20% on needed travel, the Water Authority and the water company to give a 10% reduction, and he said he would ask the banks to cut interest. “Everyone needs to help at this time; that is the way we can make some changes,” he said. During his half hour address, as well as pointing the finger again at the opposition for causing the financial problems that the country faces, Bush expressed his frustration that government plans to reignite the economy were being hampered by bureaucracy and what he described as “road blocks”. Speaking about government’s determination not to use the new Government Administration Building to boost the treasury coffers, he said this would now cause further hardship. “We made the decision that there will not be a divestment of the new Government Administration Building because of the ruckus by the PPM, but this decision has adverse consequences,” Bush warned. He said the forecast operating bank account balance for government of $21 million was based on the sale of the GOAB. Without the sale, government would be looking at an overdraft of around $38 million at the fiscal year end, some $15 million over its current limit. As a result government would need to borrow around CI$112 million in the upcoming financial year to complete the new Government Administration Building, road-works that can be linked directly to the building, and to complete the two new high schools. The GOAB was also having an impact on this year’s figures, Bush explained, saying that the government would now need to find this year’s payment on the building. “The non-divestment of the building has resulted in a material reduction of approximately CI$97 million in our bank account balance,” he added. Bush said, however, that there was still hope to divest the sewage system. “The divestment of the sewer system that is presently owned by the Water Authority remains a viable proposition and government wishes to proceed with haste now, but carefully, with this particular matter,” the premier said, stating that if government was allowed to get on with its proposed projects, people would have jobs, businesses, money and government would receive additional revenues, reducing the need to cut civil service jobs. He said it had been over eight months talking about the projects and they needed to be done. "The sewage system needs to be built because we are destroying ourselves with the waste that is going into our water system and the sea. We don’t see it but it is hurting our people and the environment,” the premier told the people, adding that the project would employ up to a 1000 workers, and government was not funding it but receiving additional revenues. “We need the support of the Water Authority on this and we have been at this for 6 months or more. It is time that we actually get to the point where an acceptable company is chosen and to commence the project to expand the system and get our people employed,” Bush stated. “The cruise port is another project to safeguard the cruise industry and protect a key contributor to our GDP. This project will bring additional revenues and businesses. We must now choose the contractor and start the work! Even when a contracting company is chosen, the commencement of work will take some time. But government now need to at least get to the point of starting the work. “The bureaucracy has taken 9 months to get us to this point, but we have not yet gotten to the point of starting the projects – not one bag of cement poured, not one hole dug, not one cement blocked laid. People, it is time to start work but hurdles are constantly being put in the way of the government!" he exclaimed. He also accused the opposition of making noise about government not meeting with them on the budget, but the premier said they had offered no alternatives or solutions to the problems they had left the country with. Bush said the civil servants would find the savings as they know where the money is being spent, but the opposition would not know so they cannot help. The premier went on to say that the people should not allow the PPM to mislead them into doing the wrong things, and everything the UDP government was doing now was in the best interests of the country. Right now, somewhere in Grand Cayman, three or four young Caymanian men are sitting together in a room talking about revenge. They are putting together a plan to kill another young Caymanian. These boys lack the internal values or good sense that would lead them to pause and think this through. They are not so much evil monsters as stupid idiots. Failing to visualize the long-term consequences of trying to settle a score with a gun, they are close to taking a life and ruining their own lives. They are tomorrow’s headline. When they strike, Cayman will again cringe and lurch in a frenzy of horror, fear, and anger. Listen, can’t you just hear the clichés coming out of their young mouths? The bad boys aren’t analyzing the risks of their ambush or debating the morality of their plan, they just spouting empty lines that seem borrowed from bad movies. Keep in mind, these words are coming from the “good” people of Cayman. In our fear we are losing our way, losing our grip on morality. Maybe we already lost it. Maybe we never had it. We despise gang culture, yet too many of us speak exactly like members of a gang. Compare the words of those who are supposed to be on the side of law and order and the gunmen who are running wild in the streets. What is the difference? Is Cayman just another gang? More than a few citizens have called for gang members to be murdered and no less than the leader of our country repeatedly says that untried “criminals” should not have access to legal aid. He apparently believes that being arrested alone is a sufficient conviction. Gangbangers do not believe in trials either. Is this what we want to become? Is this the best we can do? Gang crime scares us and angers us so therefore we lean their way? Really? It’s time for the Cayman Islands to do some soul searching. We must ask ourselves if we will fight violence with primitive emotion or with civilized intelligence. Will we become the same ignorant monster we claim to hate? Or will we defeat it by being smarter and better than the monster? Will we react to the threat of guns by adding more guns to our society? Will we react to killing by killing? Will we answer lawlessness with lawlessness? Will we answer hate with hate? Or will we defend the high ground and try to solve the real problems? Anyone with any sense knows why young men become killers. It is because their parents and their society failed them when they were babies and children. Violent anger and lethal stupidity do not just magically appear in a child. It is put there by incompetent parents, inadequate schools, and a society with misplaced priorities. If we are serious about fighting the monsters then we must attack them where they are manufactured. The real battle is not in the streets with gunmen. It is in homes and schools, for that is where they come from. Another wave is already on the way. Right now, abuse, neglect and ignorance are training up the next generation of Caymanian killers. Talk is cheap, Cayman. If we hope to fix this problem, simply catching criminals won’t do. We must stop creating them in the first place.